In preparation for their participation in the upcoming Premier League of Belize, the islands first semi-professional football team has announced their executive team of 15 individuals to properly run the team. 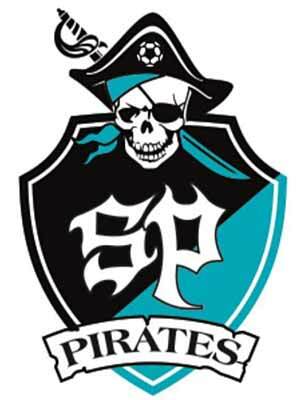 The San Pedro Pirates FC is currently owned and financed by Emeliano Riveo and Raymond Charles Tyree Jr. Leading the management of the team is Susana Eiley as President, with Hector “Tito” Alamilla observing the role of Vice-President. Other members include Ruben Francois as General Manager, Kent “Bob” Gabourel as Club Consultant, Jason Valladarez as Secretary, Gerardo Reyes as Consultant and Manager of the youth development team, Fulgencio Hoare as Consultant and Assistant Manager of the youth development team, Jorge Nuñez as Head Coach, Mario Kempest as Assistant Coach, Rene Reyes Jr. (CrossFit Wolf) as Head of Conditioning and Fitness, Sergio Gomez as Web Designer, Janelle Cowo as Media and Marketing Officer and Misael Gonzalez as Live Feed and TNC 10 Reporter.